MS Dhoni informed the board that he would be available for selection for the upcoming series against England, but wouldn't be continuing in the skipper's role. Mahendra Singh Dhoni has stepped down as the captain of the Indian ODI and T20I cricket teams, the Board of Control for Cricket in India (BCCI) intimated in a press release on Wednesday. Dhoni informed the board that he would be available for selection for the upcoming series against England, but wouldn't be continuing in the skipper's role. "Mahendra Singh Dhoni has informed the BCCI, that he wishes to step down as the captain of the Indian Cricket Team from the One Day Internationals and the T20 Internationals formats of the game," the board said in a statement. "He will be available for the selection for the One Day and T20I series against England and the same has been conveyed to the Senior Selection Committee," the statement said. Commenting on the development, BCCI Chief Executive Officer (CEO) Rahul Johri said: "On behalf of every Indian cricket fan and the BCCI, I would like to thank M.S. Dhoni for his outstanding contribution as the captain of the Indian team across all formats." "Under his leadership, Indian team has touched new heights and his achievements will remain etched forever in the annals of Indian cricket," he added. Dhoni, 35, had earlier suddenly quit Test captaincy during the Australia tour in 2014 in Melbourne. 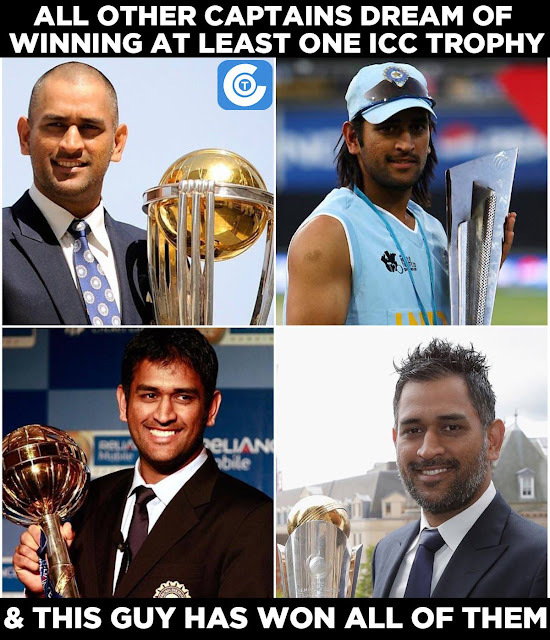 Dhoni has been India's most successful captain. Under his leadership India have won the ICC T20 World Cup in 2007, the ICC ODI World Cup in 2011, ICC Champions Trophy in 2013 and also reached the top of the Test rankings in 2009. Test skipper Virat Kohli is the front-runner to replace the Ranchi wicketkeeper-batsman at the helm in all three formats of the game.